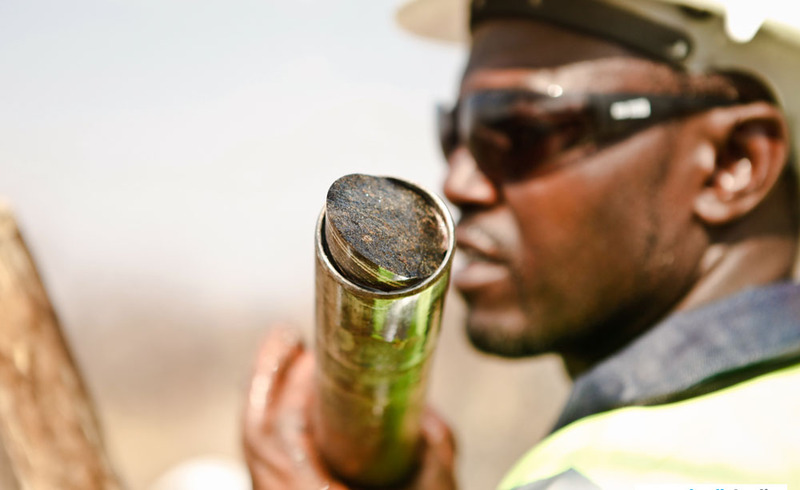 As depressed conditions in the mining and exploration industry persist, drilling companies have no choice but to respond to the situation according to their individual circumstances. 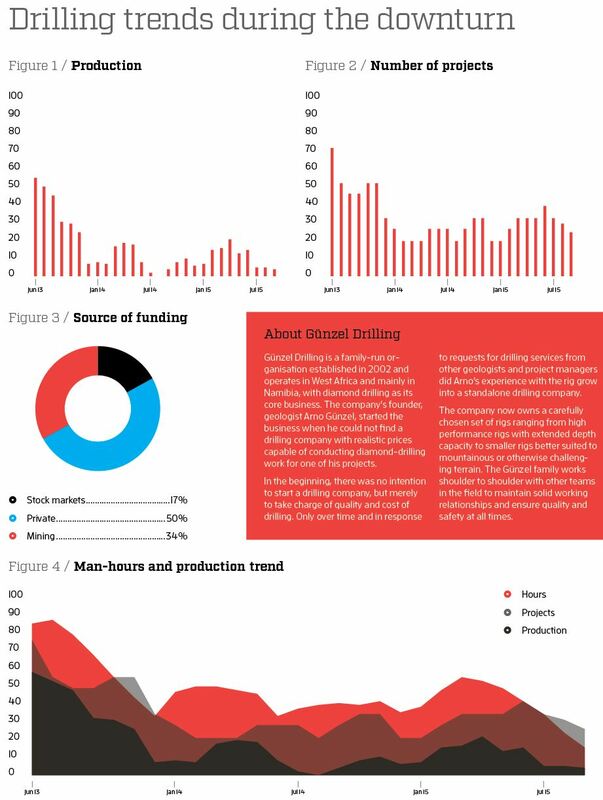 Even as a relatively small player in the international drilling industry, Günzel Drilling has had to embrace the challenges of a perpetually cyclical industry, and an investigation of its profile, production and man-hour data offers some insight into the company’s experience of the current down-turn. As shown in Figure 1, after a good 2012 and 2013, production abruptly declined towards the end of 2013, falling eventually to about 10 percent of the June 2013 level by September 2015. Total production for 2014 reached barely a quarter of 2013 production, with only slight improvement in 2015. 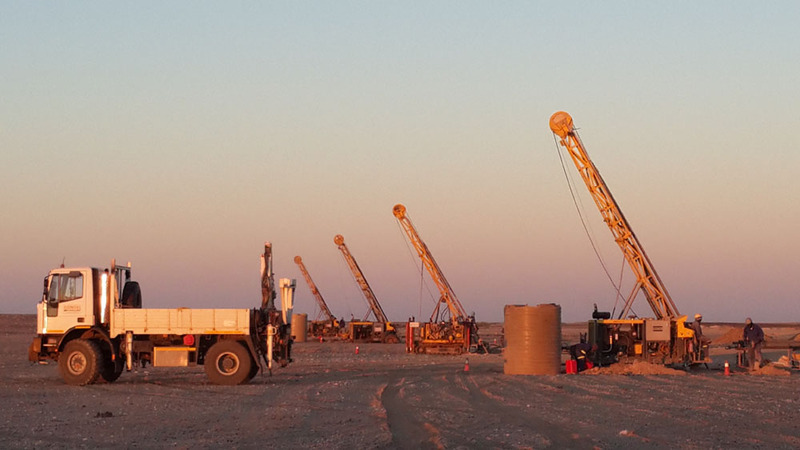 The last time Günzel had all its rigs running simultaneously was also in 2013, when four rigs were employed on a 15,000m contract in Namibia, while two further rigs were working a project in Gabon and a final rig was drilling a greenfield project in north-west Namibia. Since then the most rigs Günzel has had running simultaneously is four, for a 3,000m contract which had to be completed quickly. Although the decline in production slowed during 2014-2015, the trend remains downward with little indication of recovery in the fourth quarter of 2015. Revenue closely shadowed production figures. Analyzing production data naturally involves looking at the number and nature of drill projects. Figure 2 shows that the number of projects running simultaneously in 2014-2015 was markedly lower than in the second half of 2013. The fall in drilling activity resulting in idle capacity, although the number of projects did not decline to the same extent as production. The reason for this is that, while fewer projects were initiated, those that were managed by Günzel Drilling were short contracts with low meterage, with about half of the contracts worked during 2015 being one-hole contracts. To put this in perspective, while during 2013 the mean meterage before demobilisation was 3,800 m, during 2015 rigs were being demobilised after only 780 m on average. Figure 3 shows that, since 2014, the client base has consisted mainly of private investors, with only 17 percent dependent on raising funds on the financial markets. This can be understood to reflect the persistent adverse sentiment of the mainstream investor towards exploration drilling and prospects for growth in the mining sector in general. Mining companies, on the other hand, are less influenced by financial markets and have proceeded with development drilling work regardless. By the same token, a number of financially strong individuals and groups consider the current bear market an opportune moment to invest in the industry and prepare for an upswing. While the number of contracts from mining or private agents does not decline during bull markets, their share of the total number of prospectors will in all likelihood be smaller. As for production, effective man hours also plunged in the fourth quarter of 2013, and reached an all-time low in September 2015. However, over the period June 2013 to June 2015, the decline in man hours was more moderate than that in production and revenue. This can easily be explained by the low meterage of projects. In Günzel Drilling’s experience, shorter projects are more labour intensive in relation to output than high-production projects with a number of rigs at the same drill site. The main findings of this analysis are that Günzel Drilling’s main drop in output occurred towards the end of 2013, with a further significant decline in the third trimester of 2015. Compared to the market crash in the late 2000s, the duration of reduced drilling activity has certainly been more drawn out, if not as severe. While man-hours also declined, the deterioration was less than that for production and revenue as result of projects being more labour intensive. Overall, the company grew more dependent on projects funded by mining companies and private investment than by financial markets. Günzel Drilling’s response to current market sentiment is the same as in previous crises: all available work, no matter how small-scale or tedious, is urgently sought after in order to maintain revenue stream and staff morale. This said, projects are not undertaken indiscriminately but have to be profitable, with no cross-subsidisation between projects. Similarly, under no circumstances are unethical methods to improve the chances of success in tendering even considered. The main measures needed to survive a down-turn are put in place during the good times. Along with quality marketing and nurturing our reputation, a primary company objective during busy periods is managing profits carefully so the company has something to fall back on in leaner times. 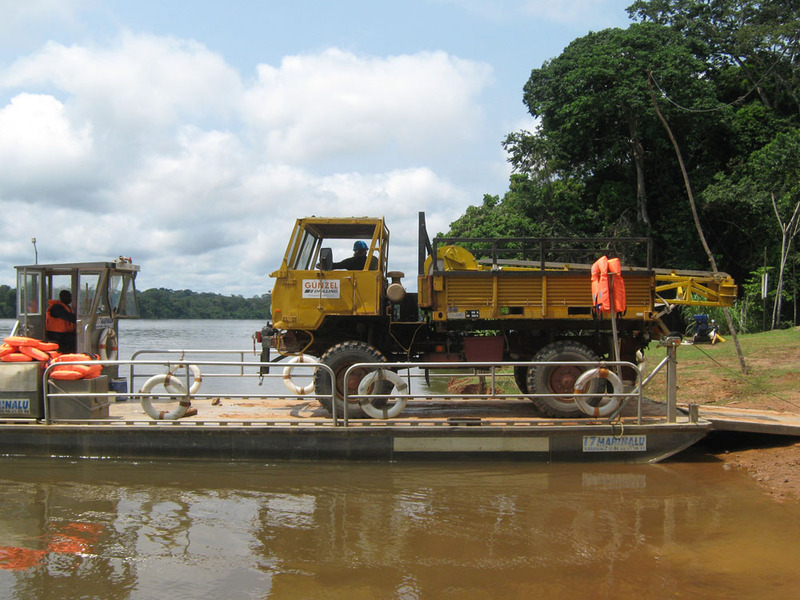 This permits levels of quality and professionalism to be maintained during industry down-turns by providing for proper equipment maintenance and, more importantly, retaining staff. Günzel Drilling considers staff lay-offs only in the last resort. Retrenching staff inevitably entails loss of skills and experience, with reduced employee loyalty a knock-on effect. While this approach limits the expansion potential of the company to an extent, one clear advantage is organisational stability and retention of critical expertise. Further, the company continues to focus energy on quality control and workmanship in order to nurture its reputation against competitive tendering conditions during lean times. This philosophy has sustained the company during previous crises and prepared it for better times when the rigs line up again. In the meantime, this is a storm to be ridden out, albeit with reefed sails. When considering the article analysis, it is important to note that all figures are indexed and therefore not directly comparable, and that rolling averages are given – to highlight trends instead of focusing on outliers – and span the time period from June 2013 to September 2015. Moreover, the analysis is limited in that no external industry data has been included, as this would expand the article beyond its intended scope. Similarly, this case study is based on one individual company, and the experiences described may not apply to other drilling organisations.